Home > Wedding Blog > Articles | Wedding Accessories > Dees Boutique | Your 5 must have Wedding Accessories! Wedding trends evolve every year and for 2019 it is all about the couple, being unique and personalisation! Today we’re in for a treat as we take a look at our 5 favourite accessories for your 2019 wedding from Dees Boutique that are really setting this trend! Would you like to make your bridal party feel at their luxurious best whilst getting ready? 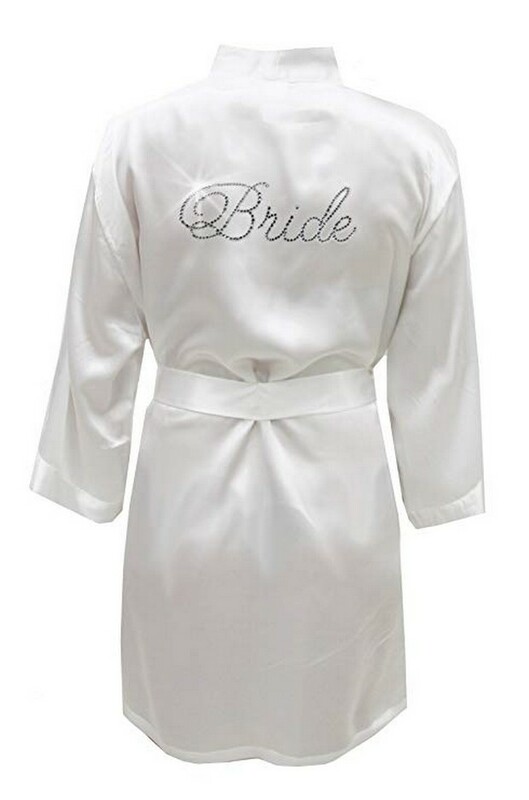 What about a Dees Boutique bridal robe? They’re the perfect thing in which you and your girls can chill, get your hair and make-up done and pose for those pre-wedding photos! You can start your big day in complete style. For the bridesmaids there are lots of colours to choose from and each robe can be personalised with embroidery. And there’s something super special for the bride, either a black or white satin robe with a sparkly Swarovski crystal Bride on the back. Bringing a bit of bling to the start of your big day! 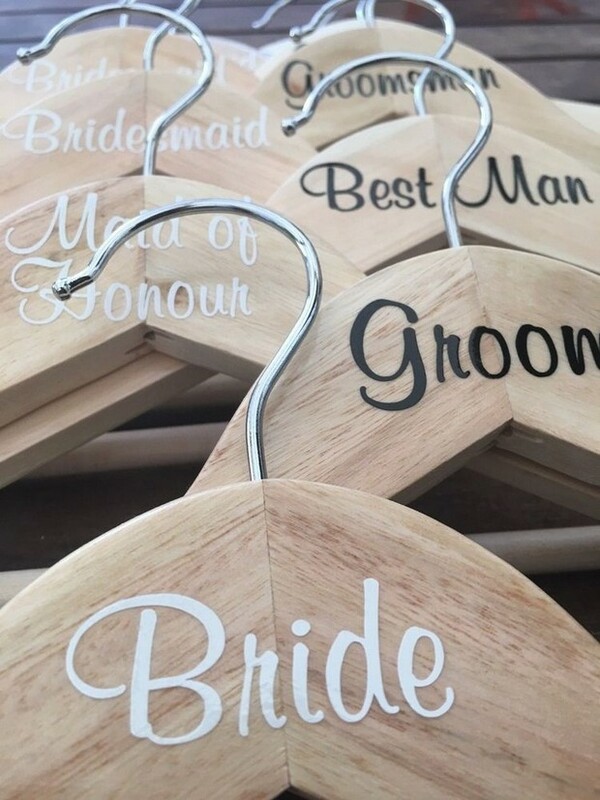 These amazing high quality decals are perfect for personalising your wedding shoes, hangers, luggage or even husband to be! They are easy to apply and can be used on most flat, smooth surfaces. They also double as special keepsakes for your best men and bridesmaids and something they’ll actually use. If you’re after the wooden hangers Dees Boutique can provide as well. As it’s all about personalisation for 2019 what about individual anklets for you and your birdesmaids. They add a touch of boho chic to a simple beach ceremony and they’ll be perfect for a beach honeymoon too. 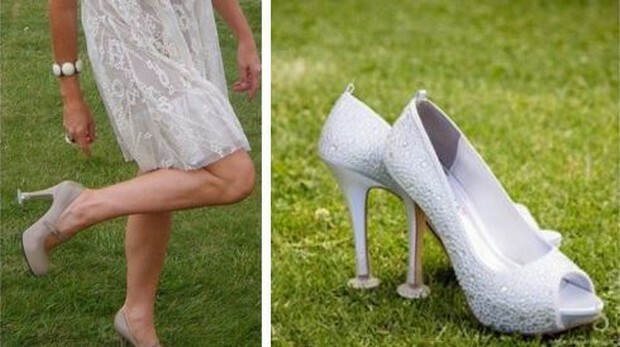 With so many outdoor weddings happening at this time of year Clean Heels – heel stoppers are a great solution to protect your heels. 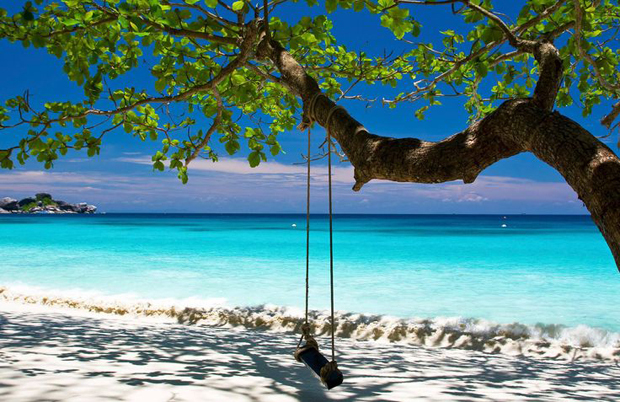 They are cleverly designed to keep you from sinking into the grass or sand. Stocked in many styles both discrete or with some extra design elements. They’re ideal not just for your outdoor wedding, but can be used again and again for your trips to the Dubai Races or outdoor brunches! Create a unique and romantic theme with these beautiful parasols! Not only are they ever so pretty and girly but they have a really practical use too! We’re loving the pagoda shape and the stylish frilled border. Although the parasols below are not from Dess Boutique here’s some ideas of how to use them as part of your wedding set up! To find out more about any of these items pop over to Dees Boutique profile page or give Denise a call on +971 50 888 6481.